8:00 - 8:45 – Get on a Purple Bus – Play improvisation games on the way to camp! Daily transportation is provided from conveniently located pick-up/drop off points, including three metro stops. 9:00 - 9:10 – Arrive at Madeira – It's an awesome campus! Traveling Players is in residence at The Madeira School. 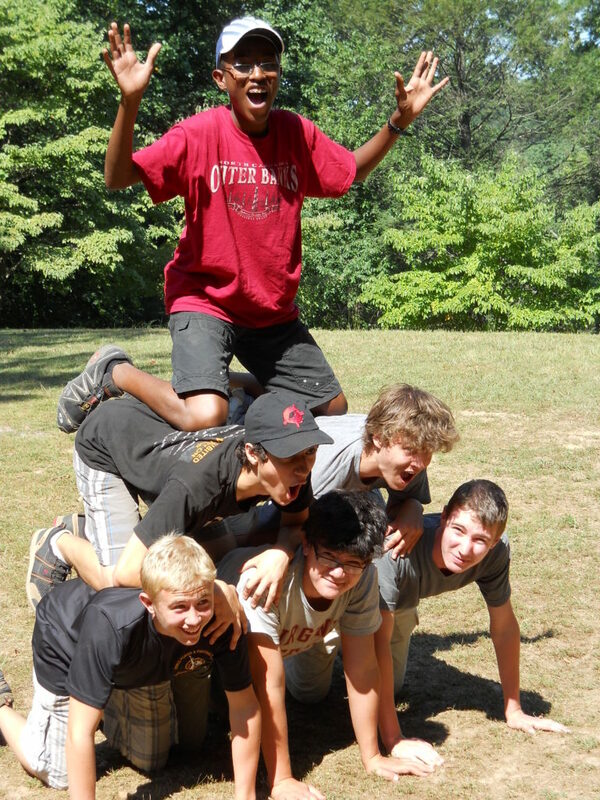 9:10 - 9:40 – Morning Revels – Fun and games with the whole camp! 10:00 - 12:15 – Morning Rehearsals – Developing character and relationship, choreographing fight scenes, practicing acting techniques, exploring blocking, and running scenes and lines. 1:15 - 2:15 – Class – A different class each day of the week, taught by our talented faculty. Fri: Instead of class, we go swimming! 2:15 - 3:45 – Afternoon Rehearsal – More rehearsal time. 4:00 – Get on a Purple Bus – Run lines with your friends or play more games. 4:15 - 5:00 – Get off a Purple Bus – Don't worry, we'll be back tomorrow! Every Thursday, instead of going home, we pile on the purple buses and drive over to Lake Fairfax Park! 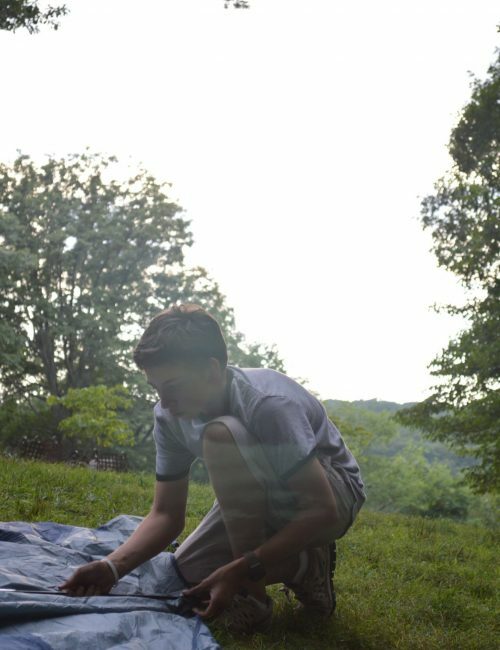 We pitch tents, gather firewood, play games, cook our dinner, and toast s’mores. Please note: the Acting Sampler Week does not include an overnight.